Another utility that has added support for the GTX 650 Ti. 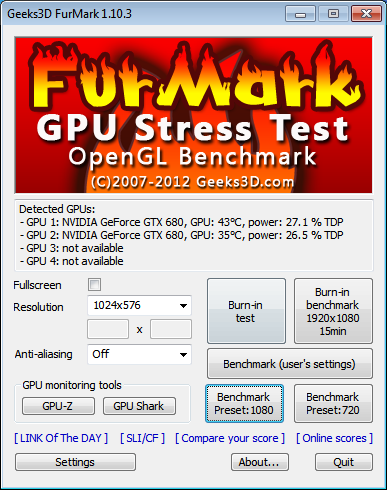 Included are updated versions of GPU-Z and GPU Shark. Update: support of NVIDIA GeForce GTX 650 Ti. Update: ZoomGPU 1.8.10 (GPU monitoring library). Bugfix: Offsets for GPU core and memory added to base and boost clocks for GTX 600. Bugfix: benchmark scores: average FPS was in some case lower than min FPS.